A large population-based study in older patients with concomitant atrial fibrillation (AF) and chronic kidney disease (CKD) has found that anticoagulant treatment was associated with an increased rate of ischaemic stroke and haemorrhage, but a paradoxical lowered rate of all-cause mortality. ‘Given the present lack of guidelines, the decision to start anticoagulant treatment in patients with chronic kidney disease and new onset atrial fibrillation should be made on an individual basis,’ the study authors advised in their paper published in the BMJ. Speaking to Cardiology Today, Associate Professor Harry Gibbs, Deputy Director of General Medicine at Alfred Health in Melbourne, said the propensity-matched study was well conducted, but he found its results curious. The researchers used a large UK database population of almost 2.73 million patients from 110 general practices to identify 6977 patients aged 65 years or older with CKD (estimated glomerular filtration rate less than 50 mL/min/1.73 m2) and a new diagnosis of AF. Of these, 2434 were on anticoagulants (mostly vitamin K antagonists) within 60 days of diagnosis (Group 1) and 4543 were not (Group 2). 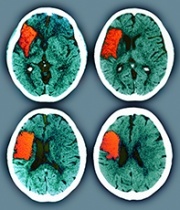 During a median follow-up period of 506 days, the crude rates for ischaemic stroke and haemorrhage in Group 1 were 4.6 and 1.2 per 100 person years, respectively, compared with 1.5 and 0.4 in Group 2. The hazard ratios for stroke, haemorrhage and all-cause mortality for patients in Group 1 were 2.60, 2.42 and 0.82, respectively, compared with their counterparts in Group 2. These findings remained consistent after sensitivity analyses. According to Associate Professor Gibbs, the paradoxical results of the study raised a number of questions, including how representative the database was and whether there was residual confounding in the propensity score matching. ‘To conclude, there needs to be a closer look taken at the benefits of anticoagulants in people with renal impairment and AF,’ he said.